Armani Beauty has made its mark with its liquid lipsticks, foundations and molten eyeshadows. The colours are beautiful and striking; like the brand’s iconic fashion collections. Almost non-existent until the recent launch of the Crema Nera range. 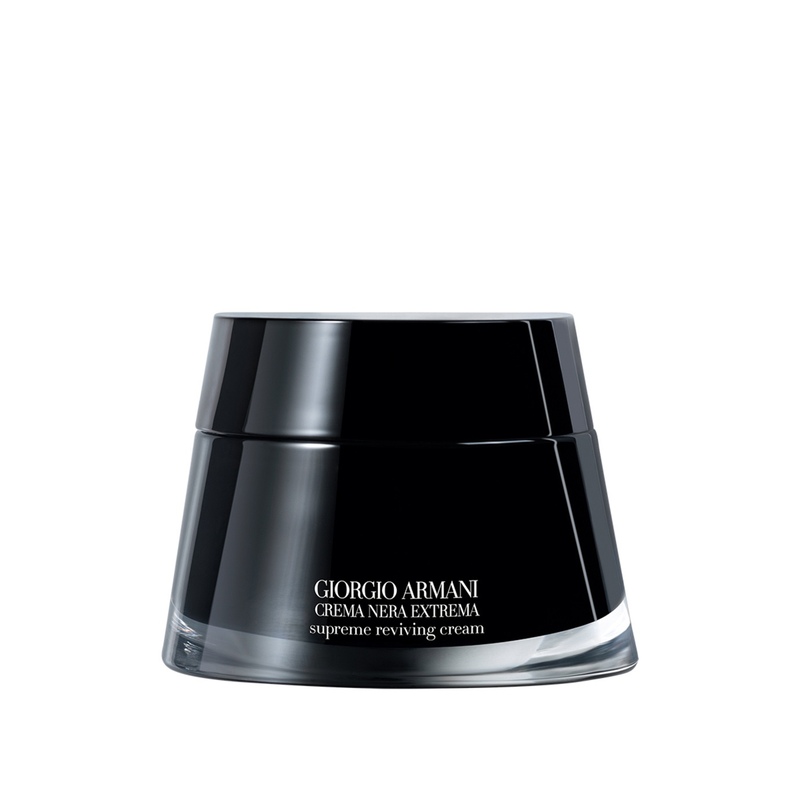 And the star is the luxurious Crema Nera Extrema Supreme Reviving Cream. Lightly scented with a refreshing floral, the formula is gel-cream that is easily absorbed into the skin.